We all understand that accidents happen. We can be plagued by pain at any moment, from any unforeseen circumstance, and the key is to know if and when to seek treatment. When your body is injured, it transmits millions of messages to your brain about what is happening. The trick? Listen to what your body is telling you. 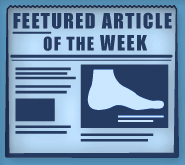 Don't ignore pain from foot and ankle injuries. Our experts, Dr. Michael Stein and Zeindelin Ahmad, DPM, can evaluate and treat your limbs. From a twist or a turn to a snap or a steadily growing discomfort, there are several things to consider when diagnosing your condition. When something goes wrong with your feet and ankles, the resulting pain and weakness can alter your way of life. Be proactive not reactive. Defeat preventable pain! If you’re an avid sports participant, you've probably pushed through pain more often than needed. Never ignore what your body is telling you. 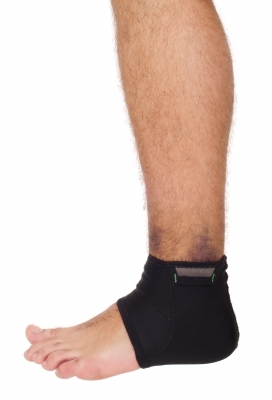 Often times, foot and ankle injuries happen when your feet experience increasing fatigue. Other reasons for foot and ankle injuries can be a result of bone structure or heredity. Strong feet are happy feet. Build your body's tolerance to strain and condition your feet by exercising daily and warming up before any physical activity. Don't forget about stretching! It's also important to provide your feet with adequate footwear. If your shoes are worn down, the treads on the bottom have become smooth and flat, and you can bend them in half, it's time for a new pair. Your shoes should provide your feet with cushion and shock absorption. Dr. Michael Stein and Zeindelin Ahmad, DPM, can help with this. Many foot and ankle complications are a result of improper footwear. Have you feet measured by our experts to ensure they suit the needs of your unique bone structure and gait. Our office can also prescribe custom-made orthotics and recommend shoe inserts to provide proper alignment and relieve any discomfort you may be experiencing. We will listen to your concerns and take a closer look at your medical history to find a treatment plan that works and provide you with expert insight into questions regarding your condition. Foot and ankle pain should never be taken lightly. Some cases may require surgery, while others may only need a minor period of rest. No matter what your condition or ailment, we're here to help! Don't wait until your pain becomes unbearable before making your appointment with Dr. Michael Stein and Zeindelin Ahmad, DPM. Schedule a visit through our online appointment request form or call the office today at (510) 483-3390 to find an effective treatment plan. We provide service to the areas surrounding Pleasanton, San Leandro, and Los Gatos, CA!